People looking to buy or rent a property usually start their process with an online search. By employing smart real estate paid search campaign techniques, agents can capture a high volume of potential leads for significant ROI—all with smart real estate AdWords campaigns. But not just any approach will create a successful lead generation or positive ROI. Real estate agents must be willing to analyze their own website and campaign performance data in order to create campaigns that satisfy the needs of their target audiences. Otherwise, poorly configured AdWords campaigns will result in a high volume of clicks but a low percentage of lead conversions, creating wasted ad spending. To help you get started, we’ve assembled five of the best tips real estate agents can use when getting started on AdWords. These tips will help them achieve a higher rate of lead conversions, which in turn will help them get positive returns on their paid search ad investment. Using the Google Analytics platform in combination with certain Google Ads (formerly and best known as AdWords) configurations, agents can determine exactly where each website visitor or lead contact came from. Being able to do this allows agents to know whether their marketing dollars are bringing value back to their business. Having lead referral source tracking in place is therefore absolutely crucial before agents spend a single dollar on an AdWords campaign for their real estate business. Luckily, it’s easy to do. First, ensure you have Google Analytics installed and connected to your website. Google Analytics reveals a huge amount of valuable information on website visits. You can see whether a visitor came from a Google search results page or a Facebook post, for instance. Once you have Google Analytics operating, you can link it to your AdWords account. Then, you can configure your AdWords to track certain types of conversions for each paid search campaign you run. The most common type of conversion agents track is whether someone visited their website and took action, like filling out a contact form. But you can also track phone calls made by smartphone users using call extensions and call-only campaigns. You can even track offline calls by displaying your Google forwarding phone number on the landing page the lead ends up on. With this arrangement, someone can browse on their desktop and call on a landline yet still reveal themselves to be an AdWords-generated lead. Having conversion tracking and referral source tracking in place allows you to make smarter decisions based on how much business your paid search campaigns generate. By looking at your ROI from actual leads — not your click-through rate (CTR) or cost-per-click (CPC) — you can maximize the value your real estate AdWords campaigns bring you. To run successful ads for real estate, you’ll need to focus your AdWords campaigns on the intent behind user searches, and sometimes search users have no intention of buying (or renting) anything in your portfolio because it doesn’t match their needs. For instance, if you’re selling deluxe three-bedroom condos in a high-end area of town, you don’t want your campaign for “condos for sale in CityVille” to display to someone looking for just a one bedroom. Otherwise, they may click on your ad and then abandon your site, costing you money without creating any in the process. Many AdWords users overlook negative keyword settings and end up wasting their money as a result. Look at the common traits of properties that end up in your portfolio, such as price range or neighborhood, and exclude search terms that do not apply. Any business owner’s best source of information is their own customers and clients. Take a moment to consider the most common priorities among your client group based on past sales transactions and general interactions. What property traits were most important to them? What were the most common questions they asked? What things did they ask for that your portfolio could rarely deliver upon? Think about ZIP codes, security systems, number of bedrooms, open kitchens, pools, proximity to transit, etc. If you want to, you can even poll your past and current clients to identify where their minds go first when they search for a home. This tactic may sound obvious, but it works like a charm. People marketing for themselves tend to get stuck in the business mindset when they should really think like their customers. Engaging in this thought process can be incredibly helpful. 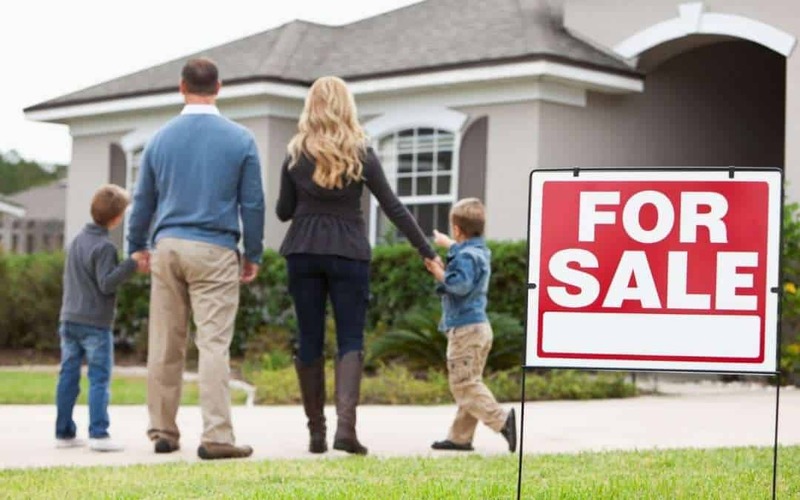 Everybody at a certain point has to look for a place to live, after all, so think about what was important to you when you last searched for a home or apartment. How did you start? What traits did you single out as most critical during your search? How would your approach differ now if you were to relocate? The answers to these questions can inform the keywords you select during your real estate AdWords campaign creation, including negative keywords. Then, repeat the process from different perspectives. If you were a college student, you’d want to balance low price with easy access to campus. If you had a few kids, your first concern would be neighborhoods with good schools nearby. If you had five dogs, you’d want a huge backyard that’s preferably already fenced-in. If you are a company that’s always actively recruiting, you’d be searching for furnished apartments. Consider the personas of people who are part of your main client base as well as those who aren’t. Assign keywords and negative keywords based on search intent as appropriate. Online real estate has gotten hugely competitive, and the big names like Zillow or Apartment Finder have massive budget resources behind their PPC campaigns. They also earn an enormous impression share. How can a tiny agency possibly compete? One of the most effective methods is to be very cautious and strategic with geographic AdWords targeting. Instead of using a cudgel on a broad market, use a scalpel. For example, if you are advertising units for an apartment community in Marin County, CA, you may want to target people searching for “apartments for rent” by geo-targeting Marin county or perhaps just 20 miles around the apartments themselves. But you want to show ads for these apartments to people in South San Francisco, then use more specific, refined search terms — such as making sure they specify “ in Marin Co” in their search. Maximizing your ROI from AdWords requires careful campaign structuring, diligent use of intent-based keywords (or negative keywords), and paying close attention to your own data sources. If you need assistance getting to this point, Symphonic Digital has the experience and proven track record to help. Partner with us for full AdWords campaign creation, strategy, and management to achieve your online B2C or B2B lead generation goals. We can also help with CPA marketing campaigns!